March has already turned out to be a great month for me! If you read my last post you will know that I had a fab meet up in London with some other lovely fellow bloggers, had word that my request to take voluntary redundancy at work was accepted and that I also had been nominated for a MAD award too! Just to top off the good fortune Essentials magazine also featured me in their 'What you're wearing' article in their April edition! And here's me in my 'Chic Layering'! 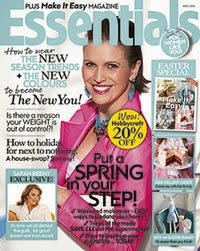 A big thank you to Essential magazine, I was very flattered to be asked to participate! As I am now throwing myself headlong into getting my CV together and job searching I have had little time to shop or research this week so I am just going to share with you my hit & miss purchases of the week! 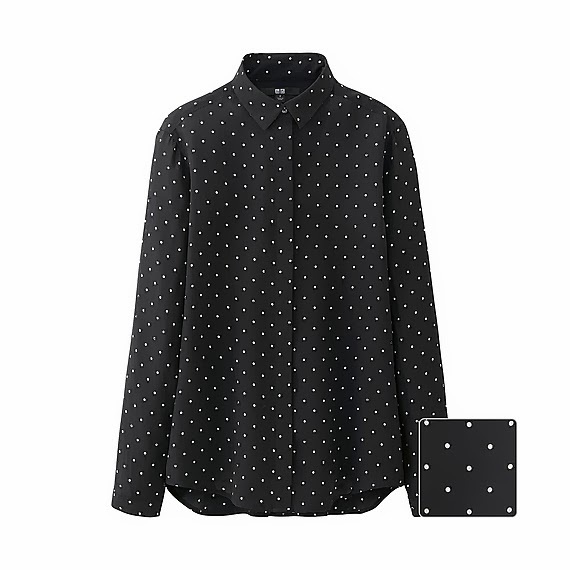 I have been hankering after a spotty shirt for a while as you can see from above in the Essentials article so I took the plunge and ordered this silk shirt from Uniqlo and I am happy to report that's it's a no-brainer, complete winner in my book! Love it! It a moment of madness I ordered 2 pair of the Skater shoes from H&M as I was putting in a kidswear order taking advantage of the 10% and free delivery last week. I ordered the snakeskin and black quilted styles. They arrived and they are lovely as you can see but compared to my beloved Kurt Geiger Laurel's they are ever so slightly differently shaped and for me it is all in the detail so these are going back! 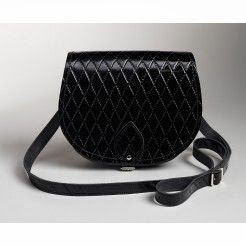 I am going to try the Topshop Vamp in black croc.....so I shall report back on my findings! Really do not know what to do about this next item. 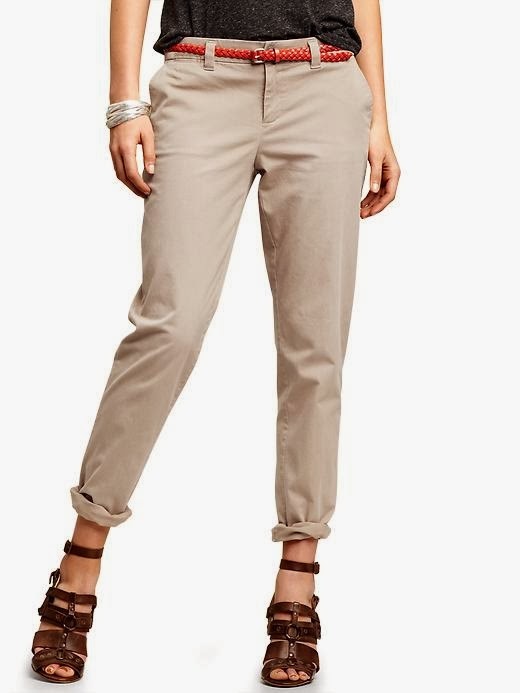 I ordered some chino's from Next which looked lovely in the photo here but in reality don't look this shape on me at all. In the pic they look like a relaxed fit but I found them rather tight around the calf's so they went back. Sorry I didn't take photographic evidence of how bad they looked on me! So when the Gap 30% voucher dropped into my inbox I decided to see what they had to offer in the way of chino's. They call their version Khaki's. I'm just not convinced though.....what do you think? In all likely-hood these will be going back as I'm not 100% sure and I do tend to live by that old adage 'if in doubt don't'! This is probably because there are also a couple of other bits on my radar which I am toying with which I shall share another day! A quick round-up of my outfits from these past few days when at last we have seen a bit of sunshine! Yay! Have you made any hit or miss purchases this week? Taken advantage of any of the fab discounts around at the moment? I am sure to have some more hits and misses to share with you next time! Until next time! I love reading and responding to your comments!